As superintendent, Dr. Jay Badams has led the district through significant financial challenges, improved transparency and community relations, enhanced related arts instruction, and embraced implementation of the Common Core State Standards in Erie's 18 schools. 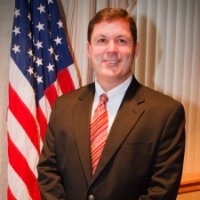 Prior to assuming the superintendency in Erie, Dr. Badams served as superintendent of the Wattsburg Area School District from September 2007 through January 2009 after a 10-year career as an educator in Erie's Public Schools. During his first stint in Erie, Dr. Badams served as a special education teacher, assessment specialist, associate dean of Collegiate Academy, curriculum coordinator at both elementary and secondary levels, and director of high schools. His accomplishments include a complete revision of the high school curriculum, the development of a district-wide assessment system and development of significant policies governing discipline, attendance and graduation requirements. Dr. Badams was selected by the PA Department of Education as a featured presenter at several Governor’s Institutes on Data-Driven Decision Making and served on the assessment work group of the Governor’s Commission for College and Career Success. In 2014, Dr. Badams was nominated by Governor Tom Corbett to a seat on the Pennsylvania State Board of Education. The appointment was unanimously confirmed by the Pennsylvania Senate. Prior to becoming an educator, Dr. Badams served as a medic with the U.S. Army’s 82nd Airborne Division and worked an account manager with Eastman Kodak Company in Rochester, N.Y. Dr. Badams, originally from Rochester, N.Y., earned his bachelor's degree from Allegheny College in 1990, his master's degree and superintendent’s letter of eligibility (2000) from Edinboro University of Pennsylvania, and his doctoral degree from the University of Pennsylvania (2012).